Parking fee: 10/10-There is no parking fee!. 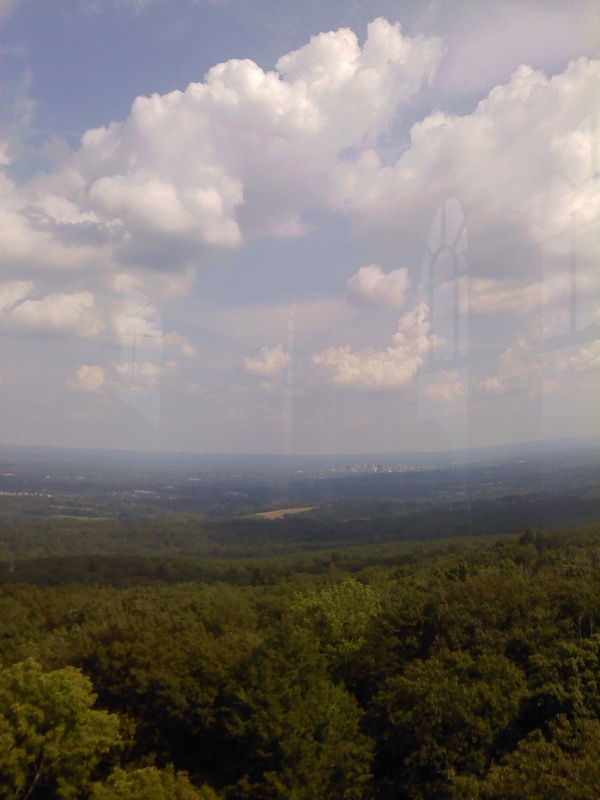 Your trip to Talcott Mountain is actually free fun! Please note that you must park on the grass on the side of the road that lies before the trail. Parking fills quickly. If you want to find a decent parking spot, your best bet is to go before noon. Talcott Mountain State Park closes at 5:00 P.M. 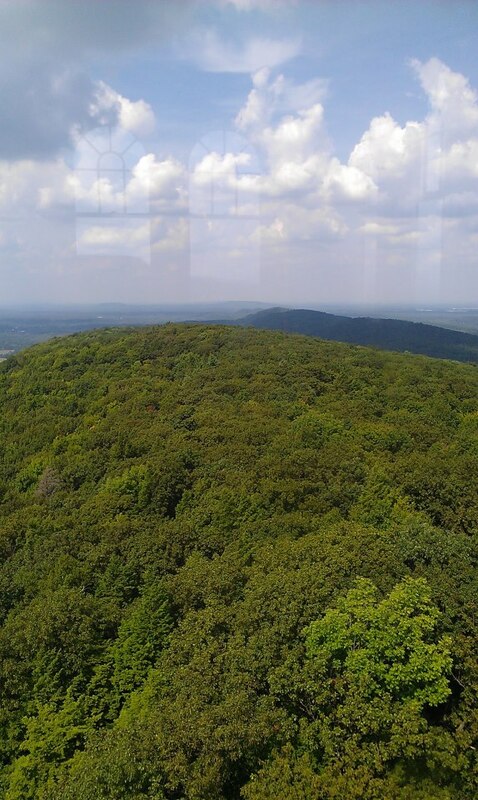 Atmosphere of Mountain: 4/5-Talcott Mountain is located just 6 miles west of the city of Hartford, bordering Farmington, West Hartford, Bloomfield, Simsbury and Avon. 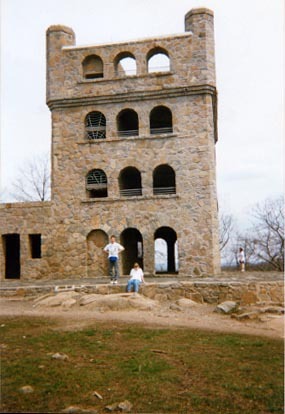 It is comprised of many notable cliffs, including the 950 ft high point on which the historic Heublein tower stands. We enjoyed the variety of hikers, animals and vegetation. The mountain is suitable for all ages . We saw kids as young as three and adults well into their eighties walk to the top. If you’re looking for a longer hike, you might want to start at Penwood State Park, which located a short distance away from Talcott Mountain State Park. 1. It served as Gilbert Heublein’s home and retreat from the 1914 until his death in the 1930s. 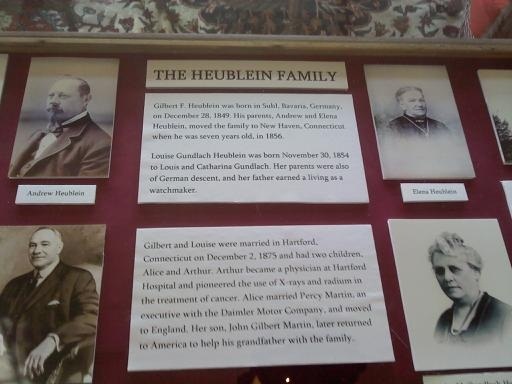 He founded Heublein Inc, an American producer of beverages and food. He was most notably a manufacturer of Smirnoff Vodka and A1 steak sauce. 2, While hiking with his wife on Talcott Mountain, Gilbert promised her he would one day build her a tower. 3. Ronald Reagan, Prescott Bush and Dwight D. Eisenhower were guests at the tower during the 1950s. The staff threw an election party for Eisenhower during the 1950s. 4. The Hartford Times used the tower to operate its FM station from 1948 to 1950. 5. The State of Connecticut Department of Energy & Environmental Protection now manages the tower. Trail: 8/10-The trail is short, considering Talcott Mountain spans only three miles at its widest point. The trail, however, offers a nice view of the Greater Hartford area a short distance from the top. View from Tower and Mountain 9/10-From the top of the tower, you’ll get a great view of Farmington, West Hartford, Bloomfield, Simsbury and the Farmington River. 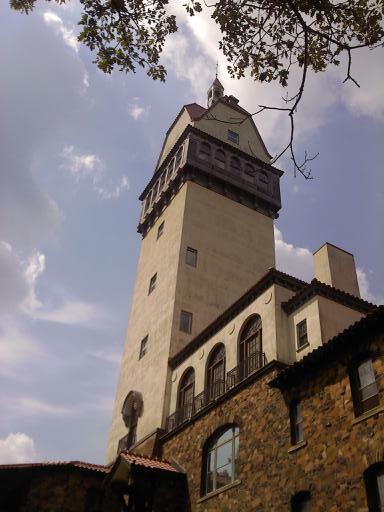 The tower offers a panoramic view of the Hartford skyline, the Farmington River, the Farmington valley, Mt. 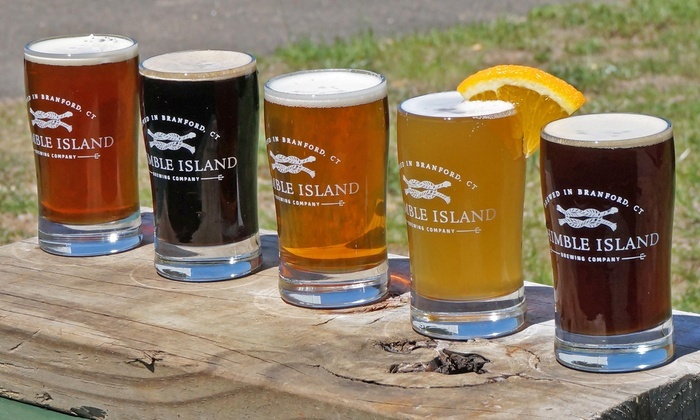 Tom and four New England states. We were more than delighted to receive these incredible views for free. The view from the top of the tower was a perfect way to top off our hike. In a nutshell: 36/40-We thoroughly enjoyed our hike and we recommend you visit for…. -The Snapple machine inside the tower. (This machine offers Snapple in a can. A rarity at most venues). -The view from the top of the tower and the top of the mountain. Atmosphere: 9/10-Our hike inspired us to venture into Simsbury for lunch. We stumbled upon Apollo’s Pizza and Pasta on Hopmeadow street, a five minute drive from the mountain. When we entered the restaurant, we we noticed the small, classy interior. You’ll notice that the staff advertises Avery’s Soda at the front counter. Avery’s Soda is old fashioned soda that comes in a glass bottle. Avery’s boasts a variety of flavors from Black Cherry to odder flavors such as Bug Barf soda. No, we’re not kidding. The old fashioned sodas sparked us with a sense of wonder about the menu items. Service: 9/10-We appreciated our service. We received our food in under 15 minutes and constant refills from our waitress. Price/selection of lunch: 4.5/5-The lunch menu is noticeably cheaper than the dinner menu. Entrees average around $10 to $14. You’ll receive a considerable amount of food for the price you pay. Price/selection of dinner: 3.5/5-Entrees ranges from $11.5o to $19.50. A large, traditional pizza costs only $11.25! This is considerably cheaper than the price for most large pizzas. If you want a large, gourmet pizza you will pay around $18. 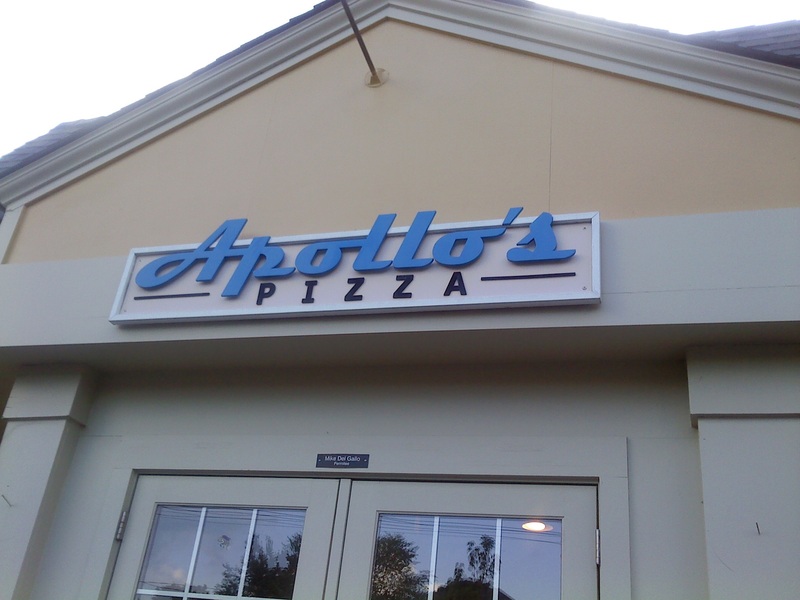 Apollo’s entrees are still considerably cheaper than many restaurants in Simsbury. Taste: 8.5/10-We enjoyed our entrees but expected slightly more because of the flavorful composition of the dish. The portion size definitely matches the price. You won’t leave the restaurant hungry. 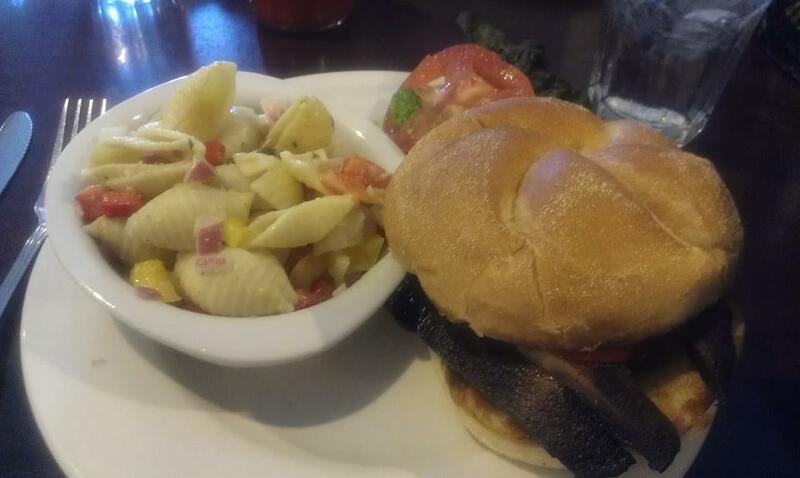 In a nutshell: 34.5/40-Apollo’s scores a solid B+ for its good food, good service and great lunch prices. We recommend you visit, especially if you’re looking for a nice hole in the wall restaurant after you hike Talcott Mountain. Check out our top four picks for the most creative items! 1. 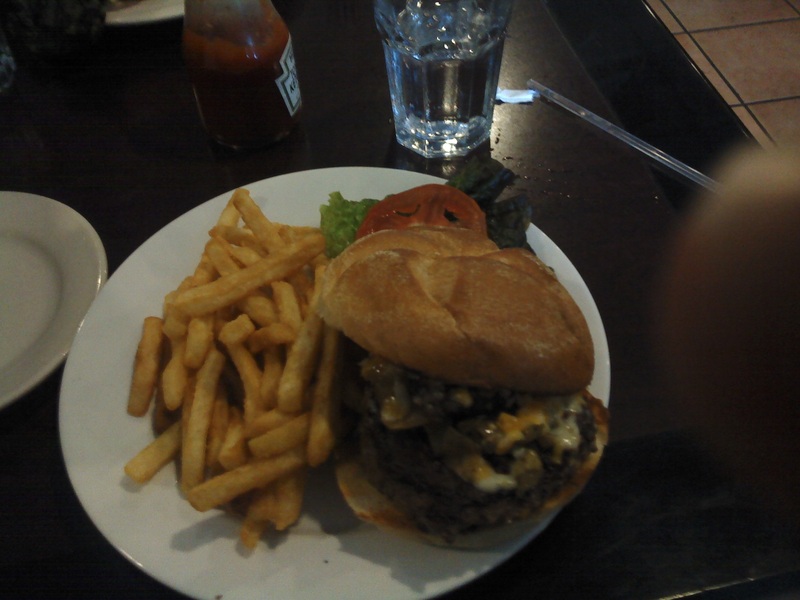 The Simsbury Burger (this may not be the name). Apollo’s does not have a lunch a menu online so we cannot double check. Below you’ll find additional pics from our Simsbury adventure! There are a lot of interesting deals on the Groupon and Living Social websites. These websites seem to offer great deals on dining, fun activities, products and vacations because of their intriguing descriptions. Recently, Groupon posted a deal for CoCo Key Water Resort, an indoor water resort in Waterbury. The Groupon description reads, “Regardless of the weather outside, CoCo Key Water Resort simulates an 84-degree Key West day.” A Key West setting in Waterbury? This sounds amazing and a little too good to be true. When we scrolled down to the reviews, we noticed 143 reviews with an average two star rating. One user wrote, “The smell inside was horrible who knows if they even use chlorine to sanitize. Asked an employee for the manager and didn’t see anyone for at least 20 min until we asked someone else.” Many of the other reviews mirrored this one. Before buying a Groupon or Living Social Deal, always check the reviews and purchase at your own risk. Skull & Bones Secret Society: Located on High St, this secret society is known for its mysterious rituals and traditions. The ghost of Geronimo, a famous Apache chief, supposedly haunts these grounds. Legend has it that Prescott Bush, our former presidents’ father and grandfather, stole Geronimo’s skull from his burial site. The members of the secret society reportedly require new members to kiss Geronimo’s skull! New Haven Green: Bounded by Chapel, Church, Elm and College Streets, the green rests over thousands of burials of yellow fever victims that died during the late 1700s. Grove Street Cemetery: This is cemetery is home to many historical figures such as Eli Whitney, the inventor of the cotton gin and Noah Webster, the creator of the Webster Dictionary. Grove Street Cemetery is also home to Midnight Mary. You can read her story on Damned Connecticut. 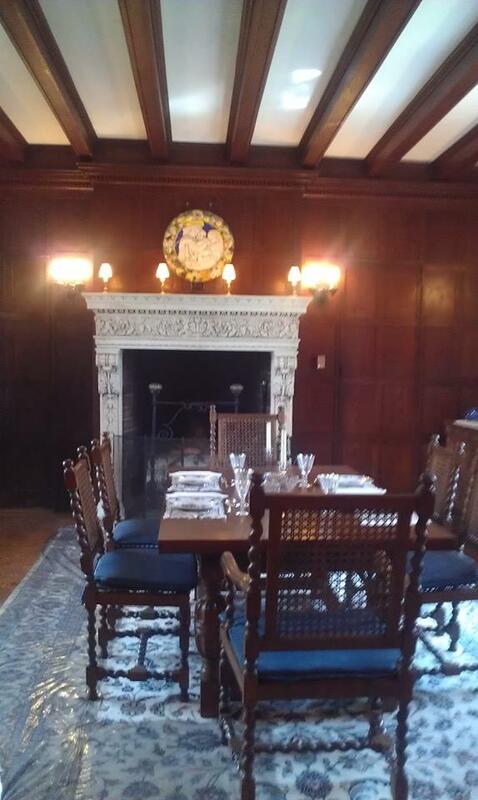 Service: 8.5/10-Our tour guide displayed vast knowledge of New Haven’s haunted history. She was quirky but did not project the spooky vibe one might expect for this type of tour. Nonetheless, we enjoyed following our tour guide to the various destinations on the tour and listening to her stories. 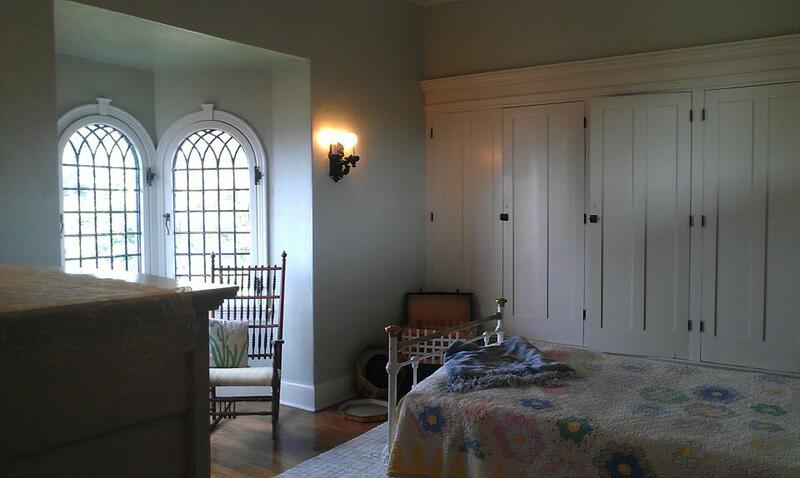 Price: 6.5/10-Without the Groupon deal, Historical Ghost Tours loses points on its price. $25 per person is steep for a 90 minute tour, especially one that does not venture into most of its destinations. Variety: 8.5/10-The tour covers a handful of places in a 90 minute period. We found this to be the most desirable aspect of the tour. 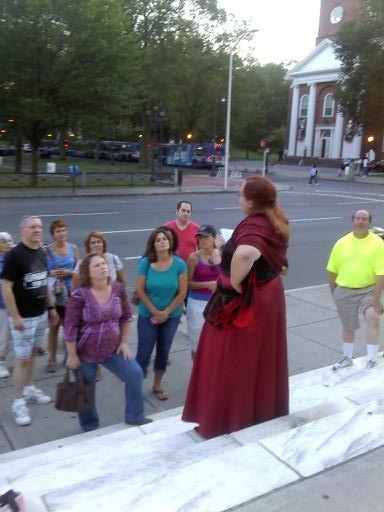 In a nutshell: 32/40-Historical Ghost Tours in New Haven-it’s a good idea and has a lot of interesting elements. We recommend you try this tour if they launch another Groupon deal or if you feel the price matches the quality. We would like to look into more of Connecticut’s haunted history and we’ll most likely try this type of tour again in the near future. From the official website. We could not get a good enough picture of the tower. Parking Fee: 8/10-The parking fee is $10. If you’re planning on camping overnight, this is not a bad fee. If you’re only planning on a day hike, however, it might seem kind of steep. 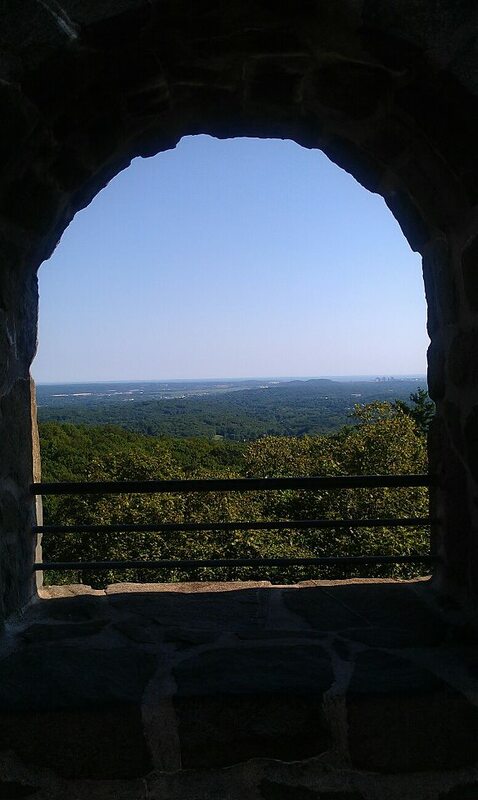 Atmosphere: 9/10-Sleeping Giant lies in Sleeping Giant State Park in Hamden. The park is across the street from Quinnipiac University, a private institution with an enrollment of approximately 5900 students. A large fraction of those students hiked Sleeping Giant on Sunday. Most of the other hikers included families with small children and teenagers. The park offers hiking, picnicking, camping and fishing. The mountain offers a lookout tower, a modest nature trail and a scenic view. You’ll find plenty to do if you decide to spend the day. Trail: 8.5/10-The trail is only 1.5 miles long. The park’s website calls it “scenic” but the mountain is cloaked by trees until you get to the top. We enjoyed the historical trail markers we found along the way. You’ll also notice a modest amount of wild life. 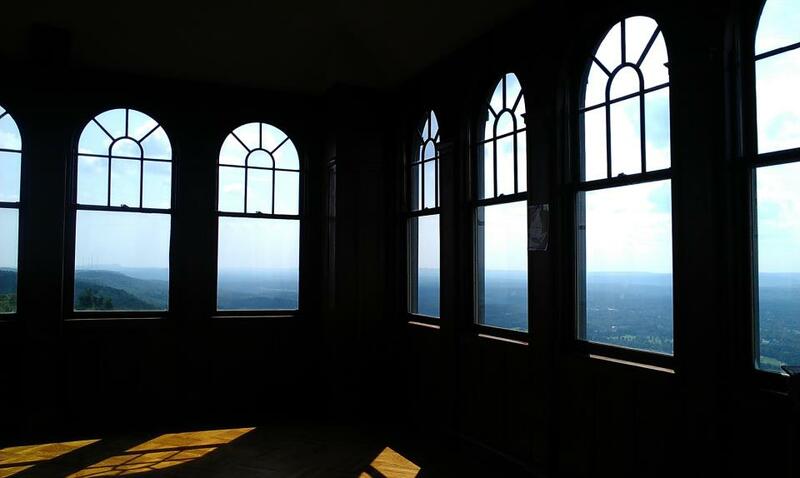 The view: 9/10-When you reach the top, you’ll find a nice view of Long Island Sound and the New Haven area from the stone observation tower! In a nutshell: 34.5/40-If you’re looking for a nice quick hike with a great view, Sleeping Giant delivers. We recommend you take advantage of the park’s fishing and camping opportunities to make the most of your parking fee. Course: 8.5/10-When we entered Monster Mini Golf, we immediately noticed the glow in the dark lighting and Halloween themed props. We felt as if we stepped into an episode of 90′s Nickelodeon’s Are You Afraid Of The Dark, a Twilight Zone/camp fire story show for kids and nostalgic adults. Are You Afraid Of The Dark featured an episode with a murderous clown named Zeebo who haunts a fun house. The creepy clown face (see the picture above) reminded us of him! Monster Mini Golf changes their props around Christmas to create a Nightmare Before Christmas feel! We found the course itself a little tricky. You need to calculate each shot around winding corners and tricky props. We enjoyed the challenge but felt that it slows down the progress of the game. You might spend a little extra time waiting from one hole to another. Service: 9/10-We appreciated the creativity of the staff. During your game, a staff member will announce an upcoming challenge for players with a certain color ball. Another staff member (wearing a white lab coat) will randomly select a player for a challenge. The staff member challenged me to a mini golf shoot off! The objective: one hole, one shot. The person who putts closest to the hole wins the challenge. Unfortunately, I lost the challenge. Nonetheless, he awarded me with glow in the dark fangs as a complimentary prize! Price of Course: 8.5/10-$8 for adults. $7 for kids. It’s a fairly standard price among mini golf courses in Connecticut. 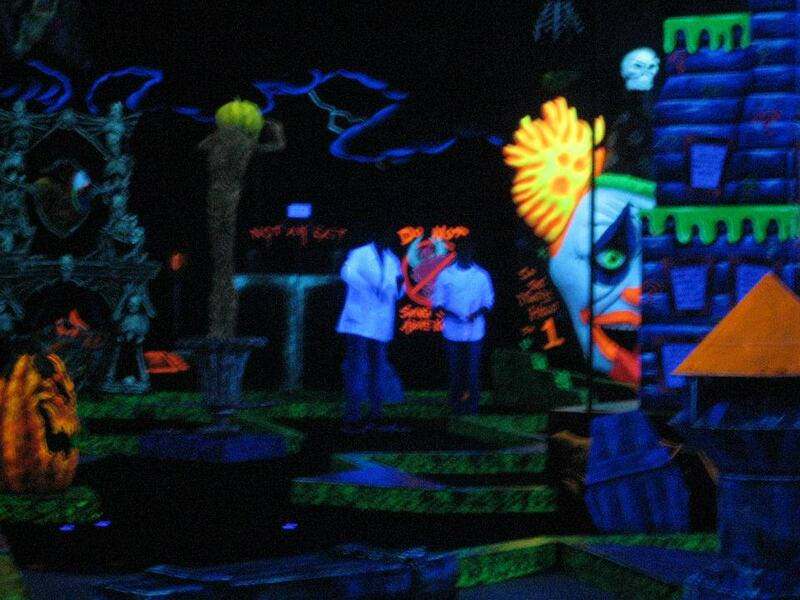 Monster Mini Golf will offer discount deals on their facebook page. They’ll often post secret words for weekly discounts on group games. Check back with their facebook page often for secret words and other prizes. Monster Mini Golf held a costume sweepstakes last October. Arcade: 9/10-We loved their arcade! 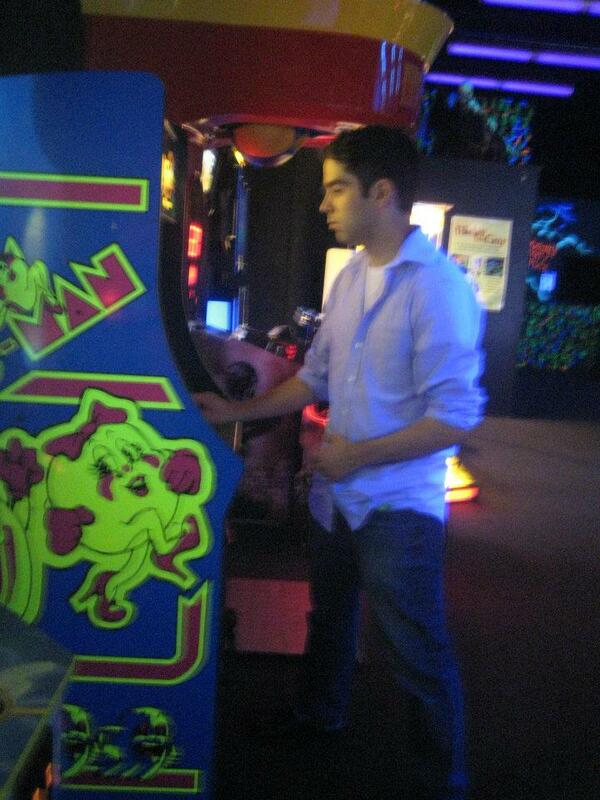 It’s a nice kick back to the 80s/90s with classic games like Pacman and shuffle board. Like drive-in movies, Connecticut seems to lack arcades so it’s always a delight when we find one. 1. Scarier music: Music enhances the atmosphere of any environment. Scary music would definitely compliment the spooky props. 2. Remixed holes: Mini golf courses change up the structure of their holes every once in awhile. We would love for Monster Mini golf to add new, spooky holes with different obstacle courses when the customers least expect it. People love the element of unpredictability! 3. Tournaments: Farmington Mini Golf holds a tournament every August. The top prize pays $100. Monster Mini Golf could hold a tournament at Halloween that pays this amount. On a final note: There are several Monster Mini Golf courses throughout the U.S. and Canada. We would love to see more of them in the Hartford county area. Monster Mini Golf will soon open in Stamford and Orange. Atmosphere: 9.5/10-RollerMagic is located in a part of Waterbury that looks like San Fransisco with its very long streets and houses/condos with decks on each story. The rink itself is hidden behind some factory buildings. These factors added to the adventure. They made us feel like we were in a place far removed from our state. When we found the rink, we discovered a parking lot filled with cars! We knew then that this place was a community secret. Families, teenagers and young adults poured into the rink the way college students pour into clubs in downtown New Haven. But unlike those clubs, the RollerMagic holds the crowd with ease. The building is spacious. 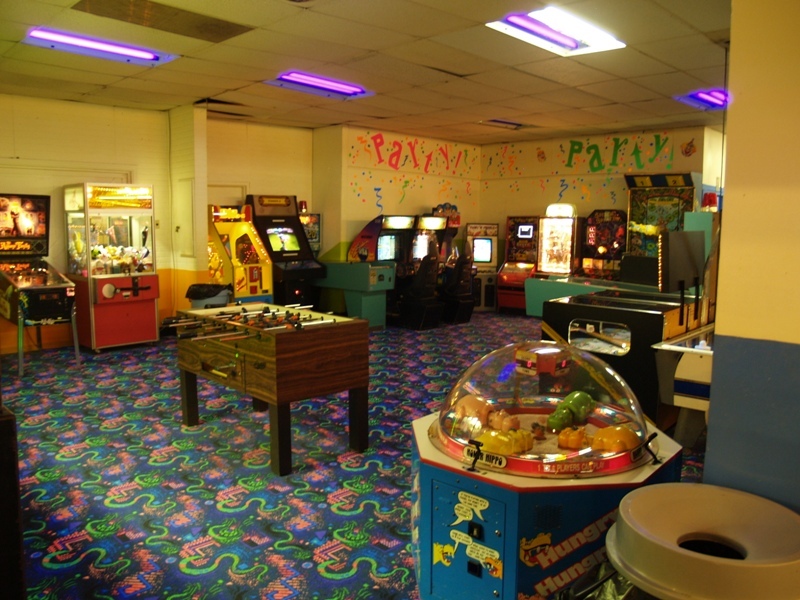 It contains a large rink, a small food venue and an average sized arcade. We enjoyed skating around the rink for a good hour and a half. Christina showed off her roller blading expertise while I tried to stay on my feet. You could tell the customers were regulars by their expertise as well. We enjoyed watching the skaters show off their jumps, dance moves and other crazy tricks. Service: 9/10-RollerMagic has fast and friendly service. No matter the size of the crowd, their staff takes care of you in a jiffy. They make you sign a waiver before you skate but do their best to ensure the safety of the skaters. The staff will skate around the rink to prevent any injuries or other difficulties. If you have any questions, they will be happy to help you. If you ask them questions while you’re skating, be sure to watch where you’re going! Price: 8.5/10-The price is relatively cheap compared to other skate rinks in Conneticut. They offer deals at certain times during the week. Click here for more detailed information. 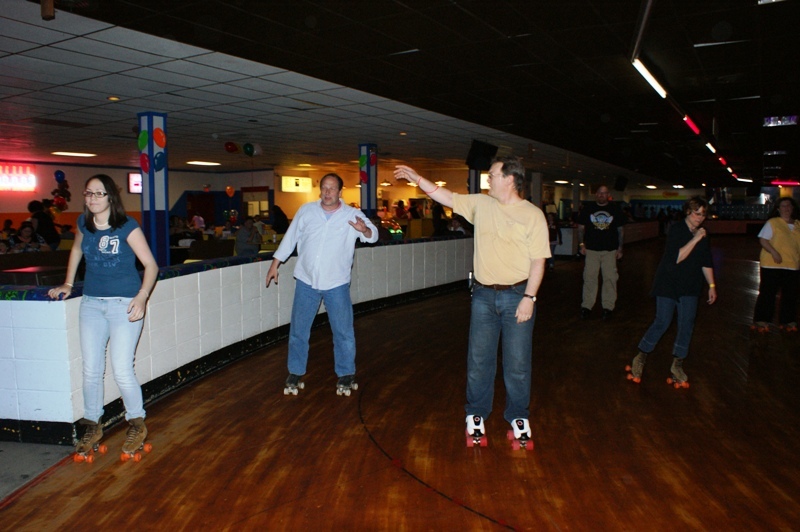 RollerMagic could benefit by using Groupon like Ron-A-Roll Skating Center in Vernon does. Arcade: 9/10-This is yet another arcade that pays tribute to the classic arcade games and incorporates new games as well. We liked the fact that Pacman costs only 25 cents per player! This is definitely reminiscent of the older arcades. 1. Larger lockers: Larger lockers would offer more room for the customer’s items. 2. A wider variety of snacks: This would attract more customers who feel hungry or thirsty after a round of skating. 3. Skate competitions: I won’t be participating in these anytime soon but it would be nice to see roller derby make a comeback! Atmosphere: 9/10-When we arrived in Winsted, we were immediately reminded of Northampton. No, Winsted center is not as big or flashy but it comes equipped with plenty of quaint shops, hole in the wall restaurants and historic buildings that somehow age with grace. Gilson scheduled a jazz band to perform after the movie but canceled at the last minute. This band might have echoed the building’s vaudeville days. The movie house provides a retro vibe with its retro wall colors, comfy seats and old fashioned movie screens. Our tables, however, stood no taller than a standard footstool. We had to hunch over to eat our food. Service: 9/10-Service was fast. The waitress provided our meal within the first fifteen minutes of the movie. She also brought us our check before the movie ended. It was kind of distracting to see waiters/waitresses walking around the theatre during the movie. We thought this protocol make might work better if the servers brought the food BEFORE the movie started and left a large pitcher of water on the tables. Come to think of it, we would have liked it if our tables stood taller than foot stools. Price of Food: 3.5/5 Don’t be fooled by the seemingly cheap prices on the menu! You don’t get a lot for your money. Our $6.50 meals came with small sandwiches and a handful of chips. If our meals came with larger portions, the price would match. Unfortunately, our meals were no more filling than a snack off the dollar menu at a fast food restaurant. We recommend you eat at one of the nearby hole in the walls before you are seated for your movie. Taste: 7/10-The taste of our meals left much to be desired. By that phrase, we mean we took a bite out of mediocrity-it wasn’t particularly good or bad. The taste lacked complexity and failed to differentiate from a typical movie theatre snack. We failed to see why we shouldn’t be eating popcorn or candy. Perhaps we ordered the wrong items or caught the chefs on a rushed day. We are open to broadening our horizons and re-evaluating this category. 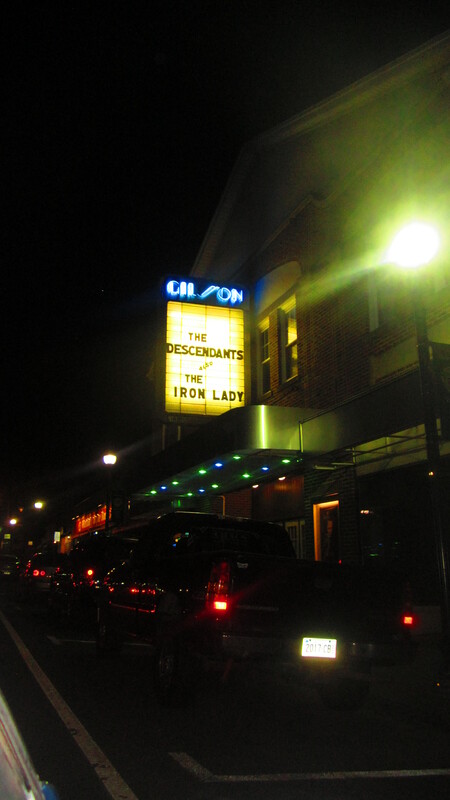 Price Of Movie: 5/5-Gilson Cinema Cafe charges $7.50 per movie ticket! Most movie theaters charge upwards of $10+ dollars. AMC Loews charges around that amount for college students… but only on Thursdays. Bowtie Cinemas charges $8.50 for students with a college ID. Gilson’s charges never waiver. You pay for great sound quality and a large screen with Cinema-quality graphics. In a nutshell: 33.5/40-Gilson Cafe Cinema left us with mixed emotions. We valued Gilson’s historical significance, great movie ticket prices and fine staff. However, we strongly believe that if Gilson adds variety to its menu and larger portions for the price, it will find more success as a dinner + movie venue. We recommend you visit for the low ticket price, great sound quality and the historical experience. You might also want to check out the jazz band (and other musical performances) if you stop by on a Saturday night.